Replacement print for the popup display 3x4 curved. 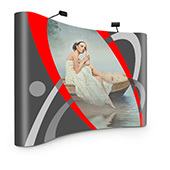 Retrofit your existing popup wall with fresh designs. The popup display guarantees a professional and eye catching appearance and is assembled in minutes without the need for tools. The aluminum frame is stored in the included transportation case and only needs to be unfolded and combined with the print. This is easily achieved via magnetic strips. 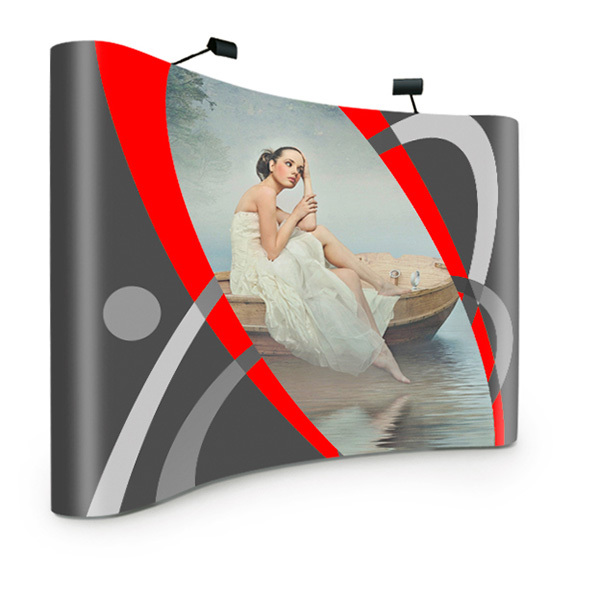 The print dimensions are 4174 x 2310 mm and thus offer your popup display adequate creative freedom. You could for example combine it with our promotional counters. Fully equipped with frame, the big print (including auto-adhesive magnetic strips), 2 halogen spot lights and the transportation case, your Popup Display is an exhibition display for the highest ambitions.